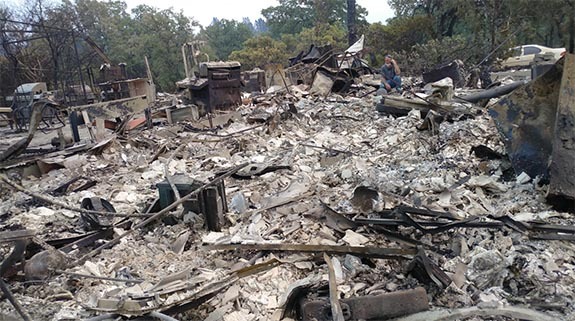 With their family’s home reduced to ashes in the aftermath of the deadly Carr wildfire, Jerry Ogle and his dad returned to their property off Iron Mountain Road in Redding, Calif., with the hopes of finding a very special heirloom amidst the devastation. It was Ogle’s grandmother’s engagement ring — a precious gift given to him by his grandfather just before he passed away. “My only real hope was that I would miraculously find the diamond in the ash,” Ogle wrote on Facebook. 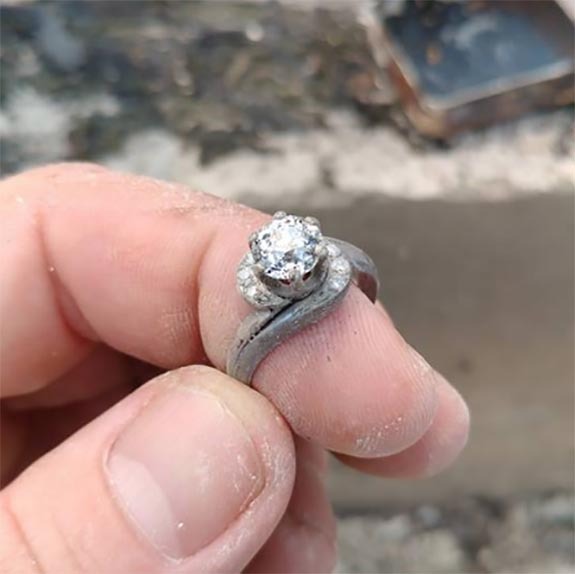 A wildfire can reach a temperature of about 1,400 degrees Fahrenheit, but that inferno was still no match for his grandma’s ring, photos of which Ogle proudly posted on Facebook. The center stone looked perfect and the precious metal was just a bit charred. 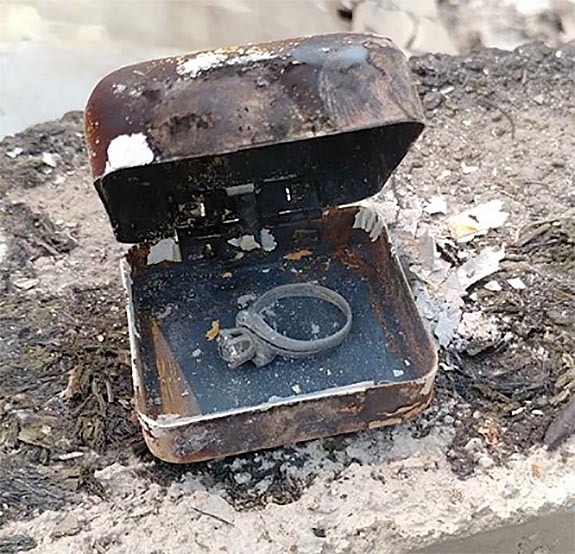 The ring box didn’t fare as well, but could be responsible for adding a layer a protection that helped the ring survive the fire.